Don’t you agree, the air of Halloween has started to blow us? Halloween means fun. It’s time for creative costumes, it’s time for yummy creepy food. If your Halloween food recipes and costumes are ready then its time to think about your Halloween make-up. Makeup is what gives your Halloween costume a real wow-effect. When it comes to Halloween, it’s hard to ignore the horror factor of it. If you know your way around a makeup kit, you can create a creepy look for yourself . 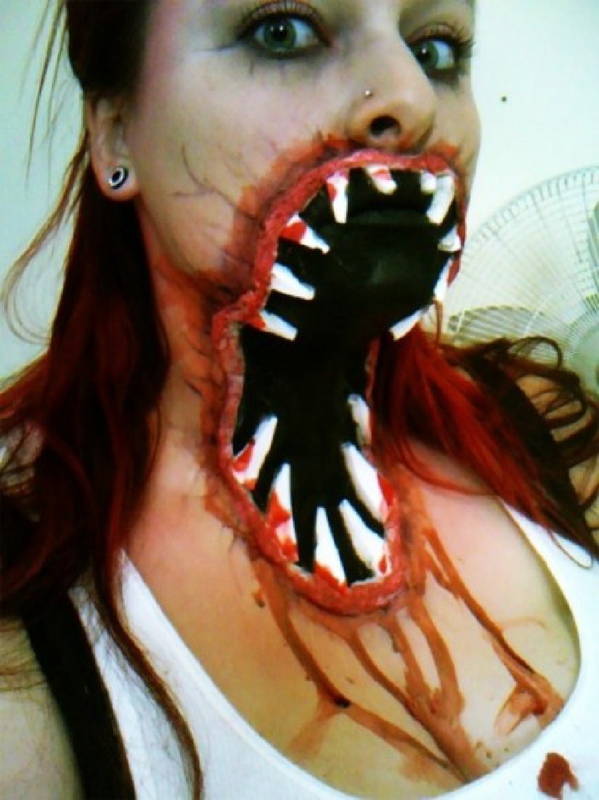 Here are some really creative and scary Halloween makeup ideas. 22.) Mask on, Mask off. Wasn’t it just out of the box. Don’t be scared to share these makeup ideas with your friends.